As one of the most popular entertainers of all time “The King of Pop” Michael Jackson debuted on the music scene at age 11 and had an incredibly successful career. 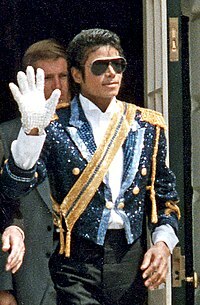 With such best selling albums like “Thriller” and “Dangerous” Michael Jackson is only one of the few that have been inducted into the Rock and Roll Hall of Fame twice. He has 13 Grammy awards, holds the title of world’s best selling album, and 13 number one singles in his career making him obviously one of the best singers in the world. When you hear some of his albums on vinyl you can just imagine that you are part of the 1980’s and 1990’s all over again.